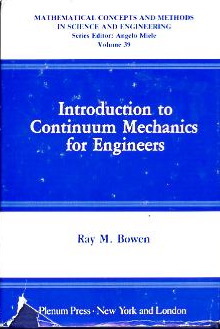 This textbook is intended to introduce engineering graduate students to the essentials of modern Continuum Mechanics. The objective of an introductory course is to establish certain classical continuum models within a modern framework. The book is essentially self contained and should be suitable for self study. The purpose of this text is to provide the students with the theoretical background and engineering applications of the three dimensional mechanics of a rigid body. Covered are three-dimensional kinematics and kinetics of particles and rigid bodies. These lecture notes are suitable for a one-semester course at the third-year undergraduate level. The table of contents: Newtonian mechanics; Lagrangian mechanics; Hamiltonian mechanics; Term project: Motion around a black hole. Classical mechanics is the study of the motion of bodies based upon Isaac Newton's famous laws of mechanics. The reader should be comfortable with basic physics concepts. Familiarity with geometry, algebra, and calculus is a must.